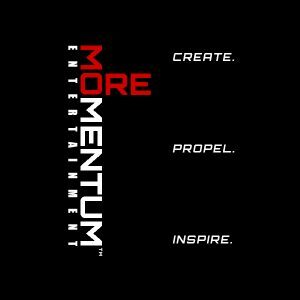 If you want more momentum as an actor, writer, producer and filmmaker, then you need to attend MoreMentum Entertainment’s™ (MME) transformational seminar series for filmmakers with some of Hollywood’s leading industry professionals. We know how tough the industry can be and a lot of people give up on their dreams because they lack the support, direction and motivation to realize their full potential. MME is here to help guide you and this seminar will provide INFORMATION and INSPIRATION, not only to students, but also to anyone seeking a career change. We’re connecting YOU with established industry leaders and all you have to do is show up! CINQUE HENDERSON—Writer (The Newsroom, Studio 60 on the Sunset Strip, E-Ring) and former DreamWorks Creative Executive (Amistad, Mouse Hunt) will take you inside the writer’s room and give expert advice – from the perspective of a studio executive and a working writer — so that aspiring writers know the steps they need to take to get their scripts seen and sold! KUKHAUTUSHA CROOM—Writer/Producer (Baggage, BET Awards, ComicView, Image Awards) and Co-Founder of MME will share her vast knowledge on writing and producing multiple reality genres as well as reveal her secrets on how to secure a studio pitch meeting (without an agent), write a winning pitch deck, and what to avoid when pitching to top level executives. RAZ ADOTI—Star of the upcoming film, The Summoning as well as the cult classic Doom and blockbusters Black Hawk Down, Resident Evil: Apocalypse, and Amistad—will share his personal stories of working alongside some of Hollywood’s biggest names; as well as give insider knowledge on how to navigate and succeed in the shark-filled waters of entertainment. BILL DUKE—Revered actor and filmmaker will give insight on how he’s stayed on top of the Hollywood ladder from his groundbreaking starring roles in American Gigolo, Predator and X-Men: The Last Stand to taking the helm as director of such hit films as Not Easily Broken, Sister Act 2: Back In the Habit, and his critically-acclaimed documentaries Dark Girls and Light Girls. Actor, Director, Producer and Humanitarian, Bill Duke, the founder and CEO of Duke Media, is dedicated to bringing “Edutainment” to you. Formerly Yagya Productions, the organization, under his leadership has been successfully producing film and television for over 30 years. A rare talent, he along with Michael Shultz and Gordon Parks paved the way for African Americans in Cinema beginning in the early 1970s. Bill Duke excels in front of and behind the camera and is unprecedented in his ability to be recognized as a mainstay in Hollywood. His acting and directing credits are extensive and include television series Falcon Crest, Fame, Hill Street Blues, and most recently, a pilot titled Blexicans. His feature films include fan favorite Sister Act 2: Back in the Habit, Get Rich or Die Trying, Deep Cover, Hoodlum, Predator, Menace II Society and Not Easily Broken, to name a few. Most recently, he was nominated for an NAACP Image Award at the 45th NAACP Image Awards for his groundbreaking documentary Dark Girls, which aired on OWN and succeeded as one of the most successful shows in the network’s history. BIll Duke’s contributions to the film industry have not gone unrecognized. Over the course of his career, he has been appointed to the National Endowment of Humanities by President Bill Clinton, the Board of the California State Film Commission by former Governor Arnold Schwarzenegger, and he was honored by the Directors Guild of America with a Lifetime Achievement Tribute. Equally important are his humanitarian efforts as Bill Duke devotes his time to charity and not-for-profit organizations. He is also on the Board of Directors of Educating Young Minds and recently established the Duke Media Foundation, which teaches media and financial literacy to young people. Razaaq Adoti (aka “Raz”) was born in England to Nigerian parents. He started his career on the stage at age 17. While still in college, he was cast as Nathan Detroit in the National Youth and Music Theatre Company’s (NYMT) production of Guys and Dolls. He earned his Bachelor of Arts degree in acting at the prestigious Central School of Speech and Drama. Upon graduation, he was signed by one of London’s most reputable talent agencies and in 1997, he was cast in a major supporting role in Steven Spielberg’s historical epic, Amistad. After completing his critically-acclaimed role as “Yamba” in Amistad, Adoti returned to London and worked on various television and film projects. In 2001, he played the main antagonist “Yousuf Dahir Mo’alim” in Ridley Scott’s blockbuster film, Black Hawk Down. Since then, Adoti has gone on to co-star in Resident Evil: Apocalypse, opposite Milla Jovovich; Doom alongside Dwayne Johnson; Cover, directed by Bill Duke; and most recently, The Summoning with Danny Trejo. Adoti’s past television credits include the CBS hit series NCIS, Sky One’s award-winning television drama Dream Team, BBC’s BAFTA award-winning miniseries Holding On, ITV’s award-winning television drama, Soldier Soldier and Channel 4’s controversial miniseries Men Only. Cinque Henderson attended Harvard University and was mentored by renowned professor and celebrated author, Henry Louis Gates. Henderson received his introduction to the entertainment industry as an intern for legendary filmmaker Spike Lee at 40 Acres & A Mule Filmworks (40 Acres). While interning at 40 Acres, Henderson devised a campaign that was responsible for registering over 3,000 people to vote. After that, Henderson was handpicked to travel to South Africa to help register citizens to vote, a year before their first free elections that ultimately led to Nelson Mandela being elected President. Upon graduating from Harvard, Henderson worked on Wall Street before landing a position at DreamWorks as a Creative Executive, working on Steven Spielberg’s critically acclaimed epic Amistad and the popular family comedy Mouse Hunt. But after spending several years reading hundreds of scripts, developing hit projects, and honing his talents as a producer, Henderson left DreamWorks to pursue his own dream. Now, he’s an accomplished writer who has worked on some of the biggest shows on network and cable television, including HBO’s award-winning series The Newsroom and NBC critical hits Studio 60 on the Sunset Strip and E-Ring.